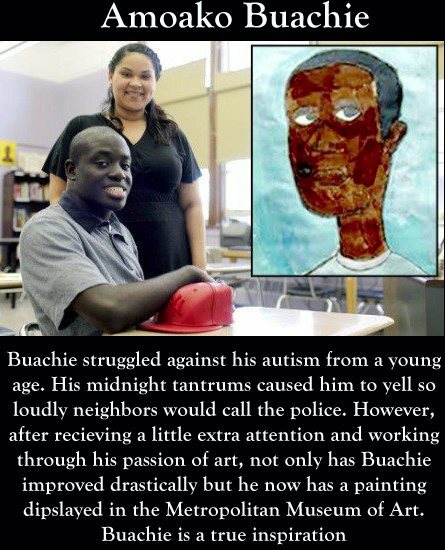 I was fortunate today to come across this posting on Autism Speaks about a talented artist named Amoako Buachie, who was diagnosed with autism at a young age. This posting talks about how art changed his life and gave him confidence and a means of expression. I really needed to see this today to inspire me to keep going, even in the face dealing with the cold business world. Im an artist, a teacher…Im not a business person, but I know that my centre will make a difference.